Composer Whitman Brown has received awards and commissions from organizations such as ASCAP, BMI, the Yaddo and Millay artist colonies, the Bedford Springs and Stroud Festivals, and the Warebrook Festival of Contemporary Music. His works have been performed throughout the United States and abroad, and have been broadcast on National Public Radio. Numerous ensembles, including Bala Brass, the Arcadian Winds, the Kalliope Trio; the Lydian, Arden and Everest String Quartets; the Gregg Smith Singers, the Master Singers, the Schola Cantorum of Boston and the Krakow Philharmonic Orchestra have performed his compositions. 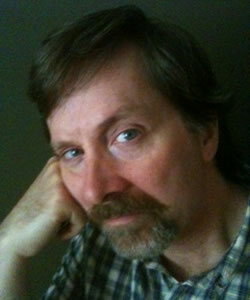 In addition to concert music, Brown has written music for theater and documentary video. Currently Head of Theory and Composition at Walnut Hill School for the Arts and Lecturer in Music at Brandeis University, Brown has also taught at Boston University, Longy School of Music, MIT. Active as an electric guitarist specializing in notated and improvised music, Brown has performed with Composers in Red Sneakers, at LaMoma, and has presented workshops on the relationship between improvisation and composition for Society of Composers, the College Music Society, and Columbia University, among others.